Gunmetal finished brass frame with contoured, soft, black leather padding and black 30 mm wide adjustable headband. 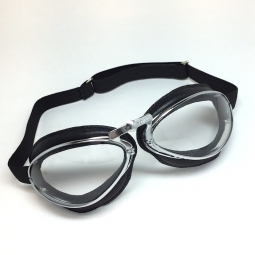 The Roadster is the smallest classic goggles which will provide good peripheral vision. 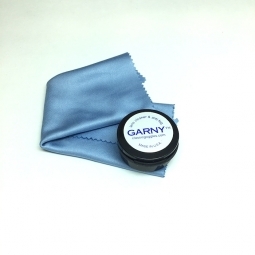 This model is an excellent fit for all faces: narrow or wide. The nosebridge is adjustable over 10mm. Easy lens changing system made possible by side latches on the frame, headband is removable. Ventilation holes punched out on the top and bottom of the frame. Lenses are impact resistant polycarbonate with 100% UV protection.